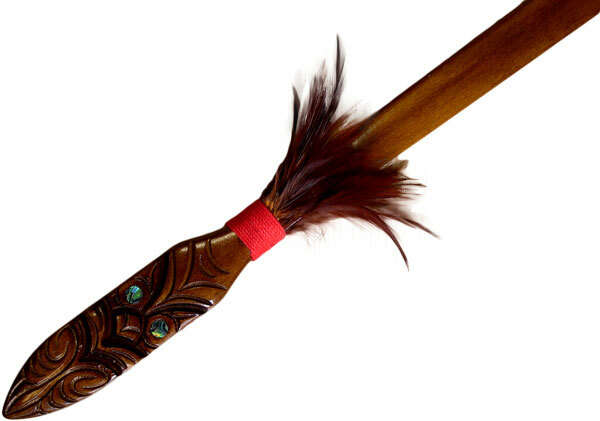 Maori Weapons, Patu, Taiaha, Maripi, Wahaika, Kotiate. 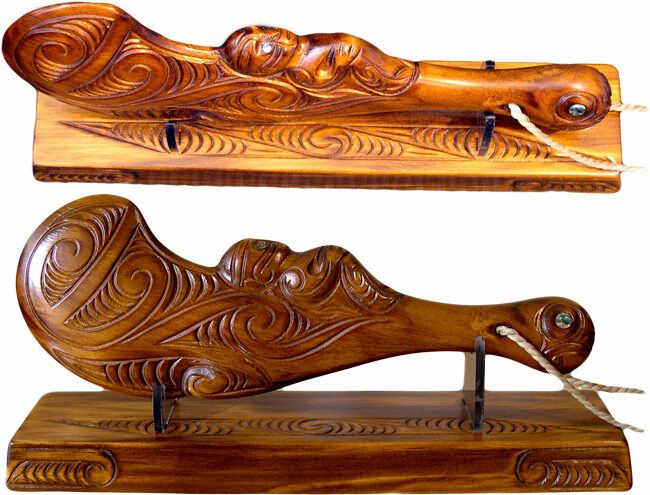 Maori were experts at ambushing their enemy and all warriors were extremely deft at the use of and the carving of these Maori weapons. They were adept at appearing and disappearing into the thick New zealand forest. 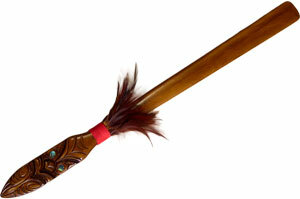 On visits to New Zealand many cultural shows display in depth how these weapons were originally used. They can be fascinating to watch as the traditional clothing is worn and many Maori who demonstrate these weapons have learned their skills from generations of there own family (or whanau) which makes the whole experience very authentic.Traditionally they were made of wood, bone, or stone and crafted of three basic shapes. The carvings below are the Patu or Mere, the sickle shaped Wahaika and the violin shaped Kotiate. All were used in short thrusting jabs rather than downward blows which would be to slow in combat. <<More detailed information available here>>. Great New Zealand Souvenirs & Gifts. 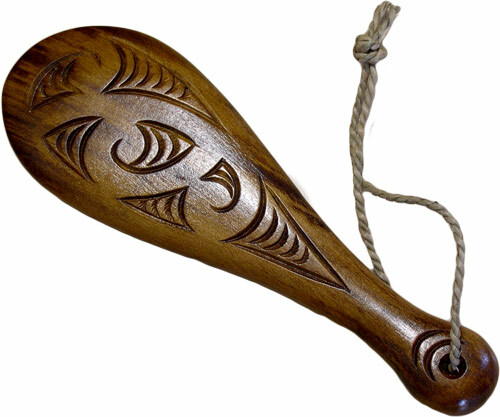 These Weapons were made of wood, bone, stone and greenstone. They were used where quick in-fighting action required thrusting jabs and was held by a thong through a hole in the handle and around the wrist and thumb. 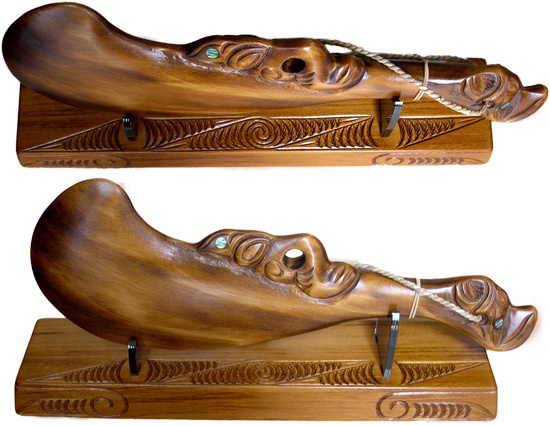 The below Wahaika can have a name or similar engraved on the base for an extra $40.00 NZD. When selecting the add to basket button simply select from the drop down "plus engraving". The below Taiaha will only be sent within New Zealand! Length 1.5 Meters., Weight 0.85kg, Carved both sides using the wood Tawa. 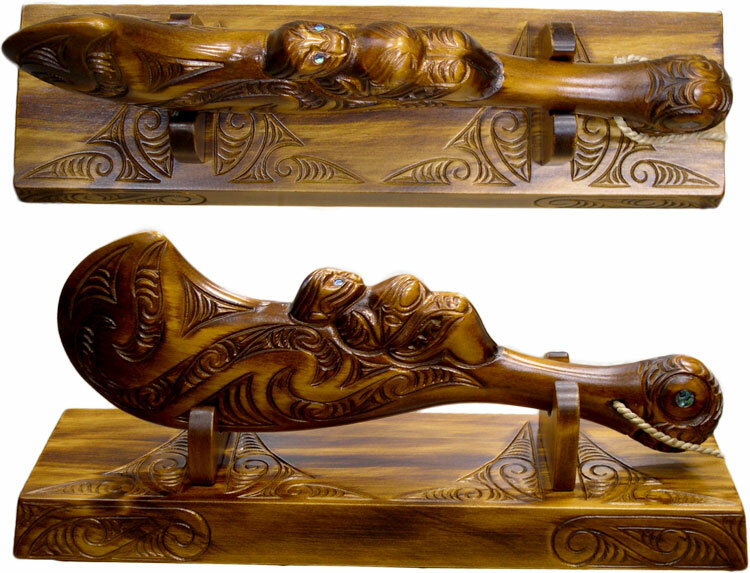 The Taiaha sent may differ slightly from the photograph as each one is carved by hand and differences are inevitable.